Startups with business models revolving around aggregating services might have their days numbered. Unless they offer a significant additional benefit (than the underlying services they aggregate) to end consumers. Because without it, they’re just tech-backed middlemen looking for their share of the pie for connecting parties. This might be a steadily tough ask in an increasingly connected world. Several foreign countries have been following the professional hire-n-fire policy for several years if not decades, now. We Indians on the other hand, still go strong on references and the ‘chalta hain’ (a Hindi phrase meaning ‘it’s alright, no big deal’), ‘adjust maadi’ (maadi is a Kannada word meaning ‘to do’, in this case, asking someone to adjust) and ‘ki farak paenda’ (a popular Hindi phrase meaning ‘what difference will it make’) attitude. Do you think Infosys would have been what it is if they fed their ever-increasing hunger for talented workforce with just about any relative, friend or a friend of a friend? Sure they would’ve filled seats in a jiffy, but I strongly doubt Infy would’ve made it even half as far. I remember some elders telling me years ago, that it’s all about networking, all about the contacts you have, etc. And sure it worked brilliantly when I was watching the Godfather movie. All the ‘offer you can’t refuse’ and ‘I will call upon you to do me a service in return’; but it doesn’t seem to have a very good effect in the corporate world. If favours are done or asked for in any manner that’s less than at what they call ‘arms’ length’, it is, without doubt, going to compromise on something. Close friends don’t feel uncomfortable in declining requests if they have reasons to. And they feel comfortable in expressing the inability to do so, and it doesn’t in any way, affect the friendship either. But in our rat race, we have really gotten programmed with the whole ‘doing a favor, asking a favor’ routine. So much so, it is second nature. Often at the cost of compromising on something else. Ki farak paenda after all, aye..? And don’t you feel its way beyond time that we Indians graduated from call centre jobs? Even if we were considered good at being the ‘back end’ to the world (no pun intended). I ask you now – can you think of any one company, where you’d feel genuinely satisfied with the level of service, were you to call their helpline? Hell, even I’ve worked with a call centre, years ago, so I know what I’m talking about. And believe me, in the past few years, interacting with call centres of the likes of biggies like Vodafone, I can genuinely relate to the frustration and helplessness that foreigners may have felt over the years, when we’ve struggled to ‘resolve an issue’ for them. And while I still have some hilarious memories from work at the time. For instance, the general process was flawed then, and it is flawed now. So after almost a decade of BPOs, the least we could have done is worked on and simplified the process? Made more sensible options on the IVR? Or made agents more efficient at what they do? Perhaps taught them to ’empathize’ with customers rather than doing a mindless line-by-line delivery of a script? And finally, if it isn’t too much trouble, ensure that the ‘issue’ was resolved? But I guess ‘woh bhi chalta hain yaar’. So put a bunch of ‘chalta hain’ attitude people in a company, and what do you get? Then put a bunch of companies with a large number of ‘chalta hain’ attitude employees in them together, and what do you get? 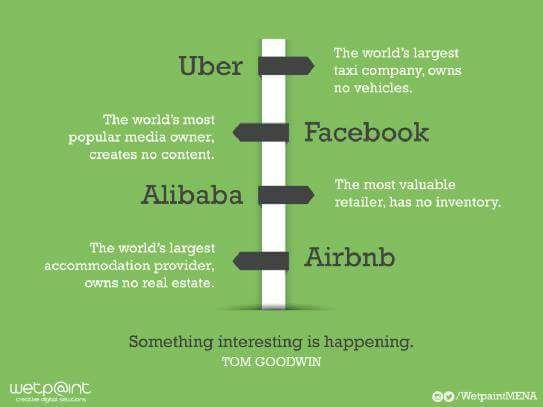 And while we’re at that, what if we have a nation with several such companies, then what do we get? What I’m guessing is, a strong probable cause for the next slowdown, where there is a strong possibility that India would play host, because employees and organizations compromised on several little things, and just drifted along, till a point where, just like the gig at the CWG, products, services and efforts start collapsing in front of bigger audiences. Compromise then, just became a real dangerous word for me right now, something representing slow degradation. How about for you? Author Shrutin N ShettyPosted on October 22, 2010 March 10, 2018 Categories Customer is King, Life or something like itTags BPO, Compromise, empathize, favour, friends, help line, India, Infosys, IVR, networking, organizations, service, Shrutin Shetty, slowdown, struggle, the Godfather, Vodafone, work1 Comment on Compromise? Don’t!